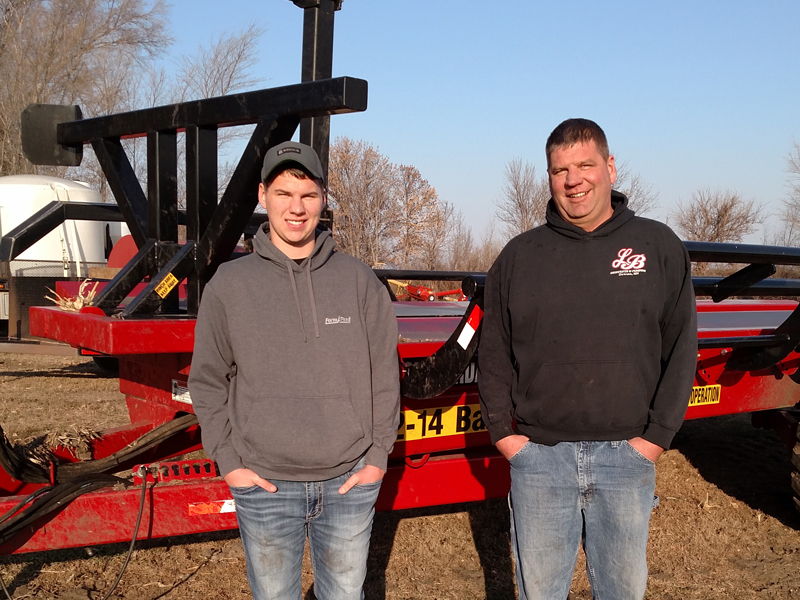 Brandan and Nathan are third generation farmers in Eden S.D. 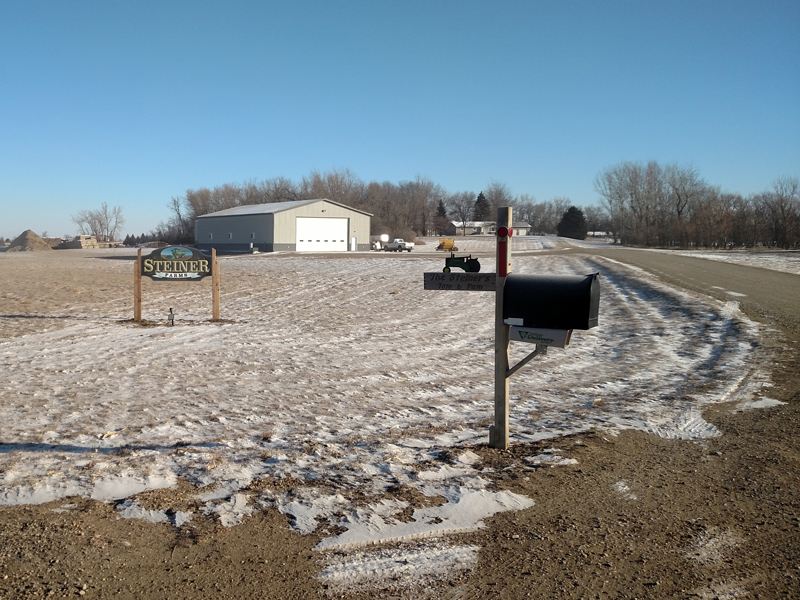 Their grandfather, Tom Sr., started the farming operation near their present location after the war. The brothers and their father Tom Jr., bought 20 cows in 1992. After college in 1998, they moved back to the farm and today they feed 280 cows. “We knew we had to change,” Brandan said. 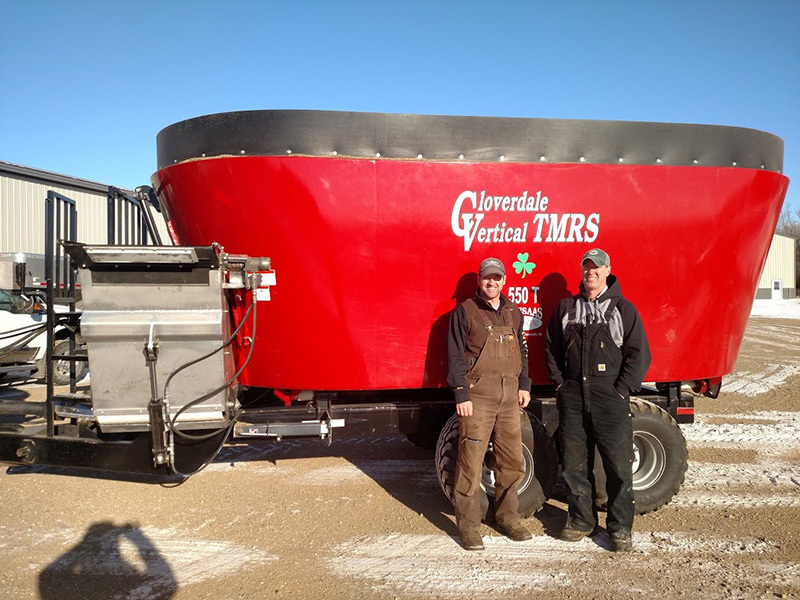 “We had been using a three-auger horizontal mixer for seven or eight years. First, we tried a vertical mixer with a belt discharge. There just wasn’t enough clearance under the incline for how we were feeding, and it unloaded poorly because the incline was too steep. We started to check out other mixers and talked to other farmers. We switched from a side discharge vertical mixer to the front door Cloverdale. This mixer is a little bigger and we feed faster. Part of our ration is 1400 lbs. of hay and corn silage. The mix is good and we love the front door discharge. 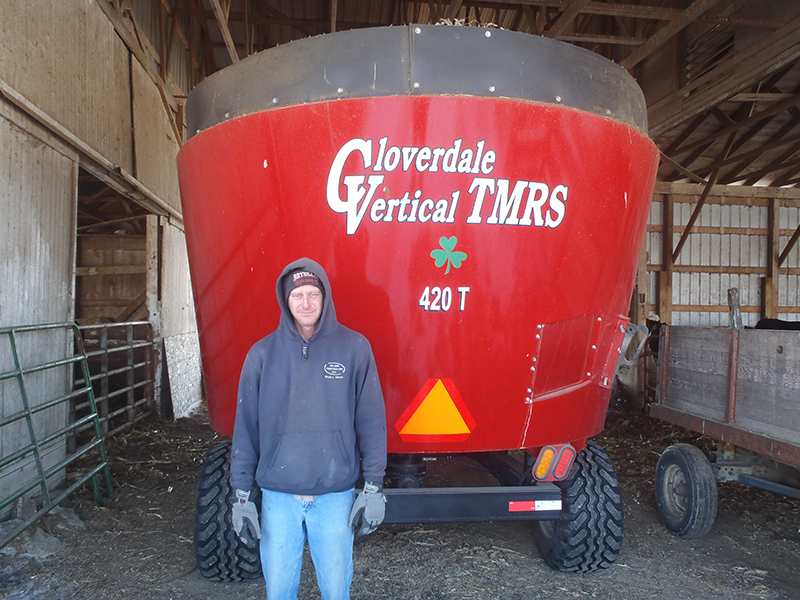 We switched from a twin screw vertical mixer to a Cloverdale 550. We can process two 1200 lb. bales in less than 10 minutes. It use to take 15 minutes to do one bale. 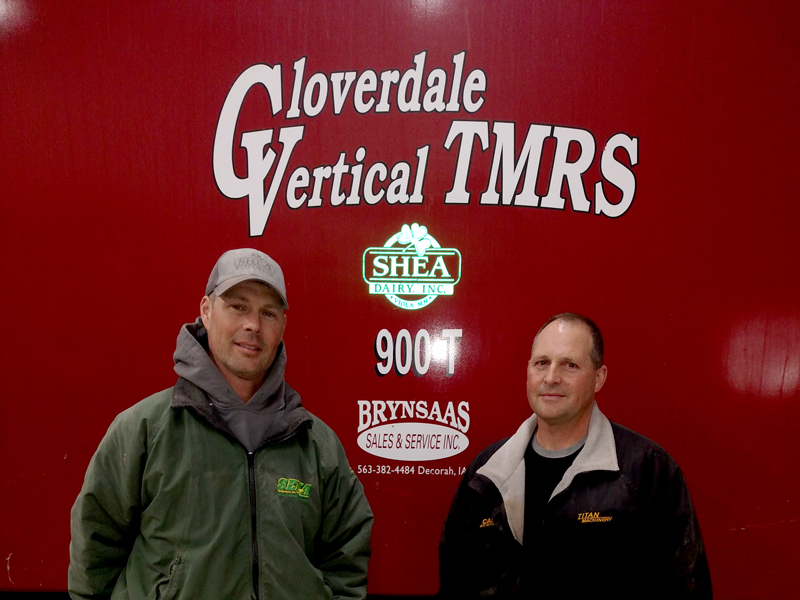 Our Cloverdale does twice the production in half the time. There was no comparison. We started with a three auger horizontal mixer on our beef operation. Because we couldn't put in long grass hay, we had to free choice some of our ingredients. 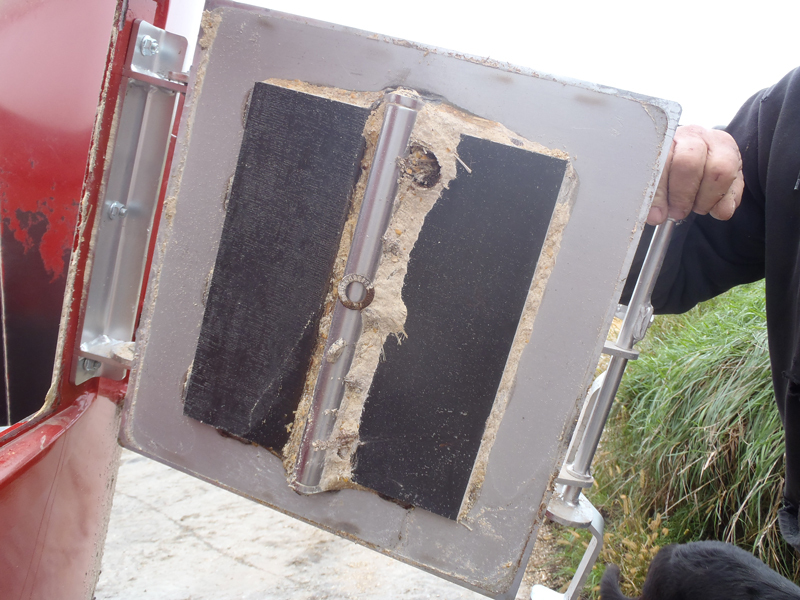 When we added too much hay, the ration would hang up on the top RH auger. We just couldn't feed the ration we wanted. 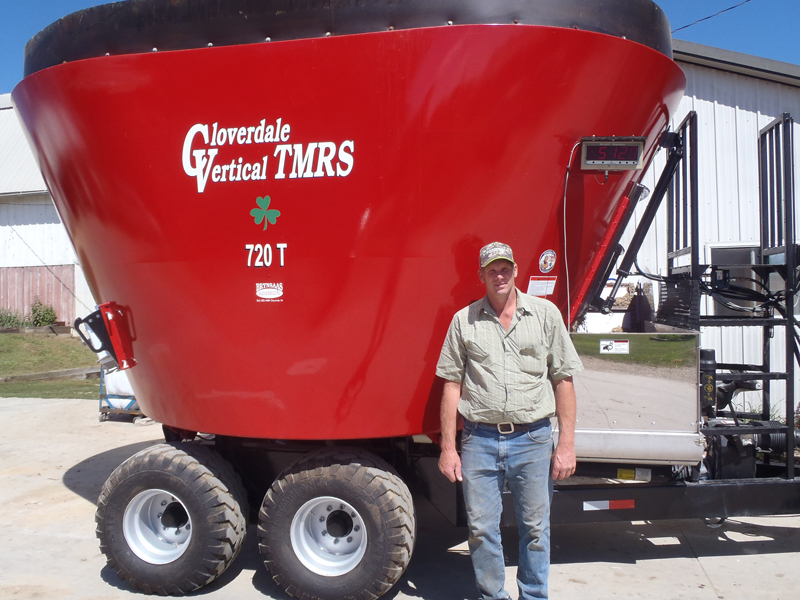 With our Cloverdale, everything goes into the mixer. We feed corn stalks, big square bales of grass hay, corn silage, wet corn, wet distillers and minerals. The ration looks good. We had two other vertical mixers before this. 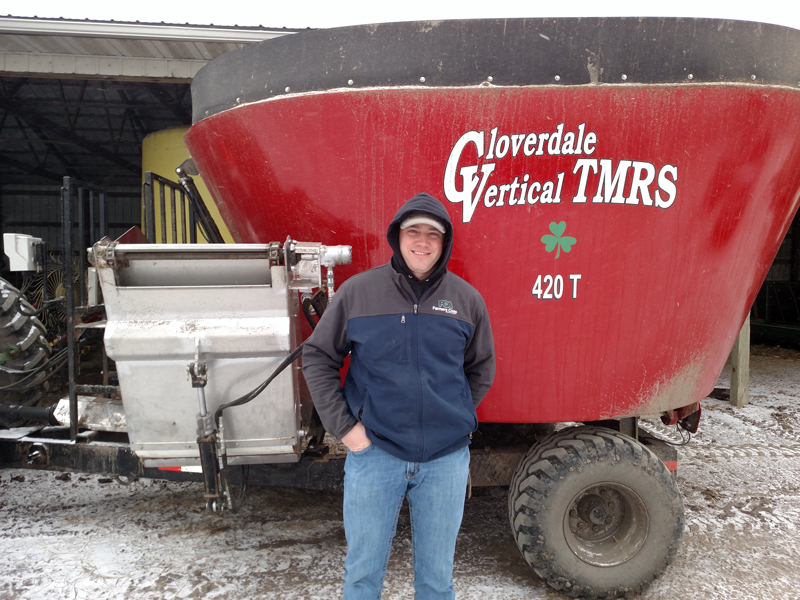 Our new Cloverdale is more efficient and mixes better. We’ve owned three mixers in the past and I didn’t think anyone could make a better mixer. We decided to give Cloverdale a try and I can’t find a thing I don’t like about it. It cleans out as well as our old mixer and we like the dual kicker on the auger better. The walking tandems are built much heavier and the mixer doesn’t bounce like our old mixer. Even with the walking tandems, the big flotation tires don’t cut in like our old truck style tires. I also like how the discharge chain is protected from the feed. 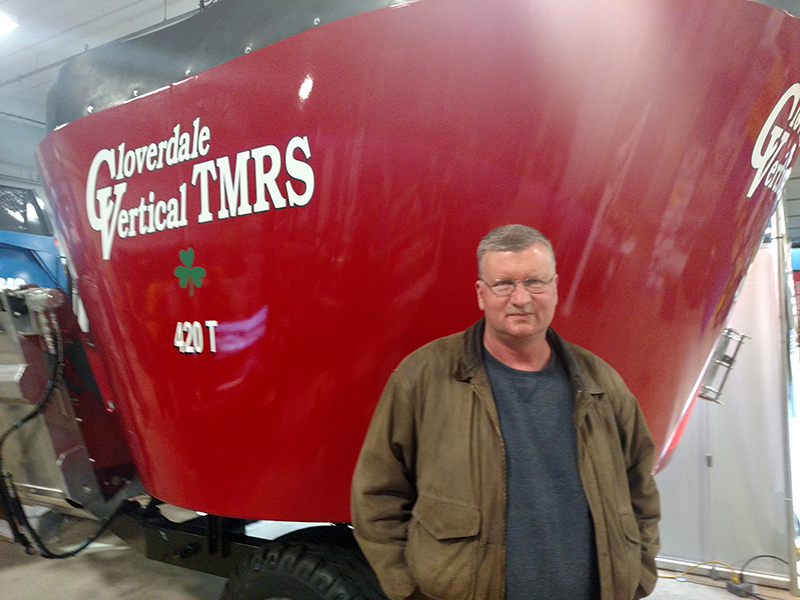 I spoke directly with Cloverdale and they built us a special discharge with our own hydraulic controls. We added a stainless steel liner and tub magnet. The Cloverdale was a lot less money and we think it will last longer. Our old mixer was a reel and we had put some repairs into it, but it was time to change. We had talked to the dealer and John at Cloverdale about trying a 420. It was easier to pull around the farm than our old reel mixer and it mixes better. We really it. We like the tub magnet also. It's easy to check and really seems to work. We bought our bale carrier on Friday and Tanner moved 475 bales on Saturday. It's a simple design, work great and was less money than the other brand we looked at. 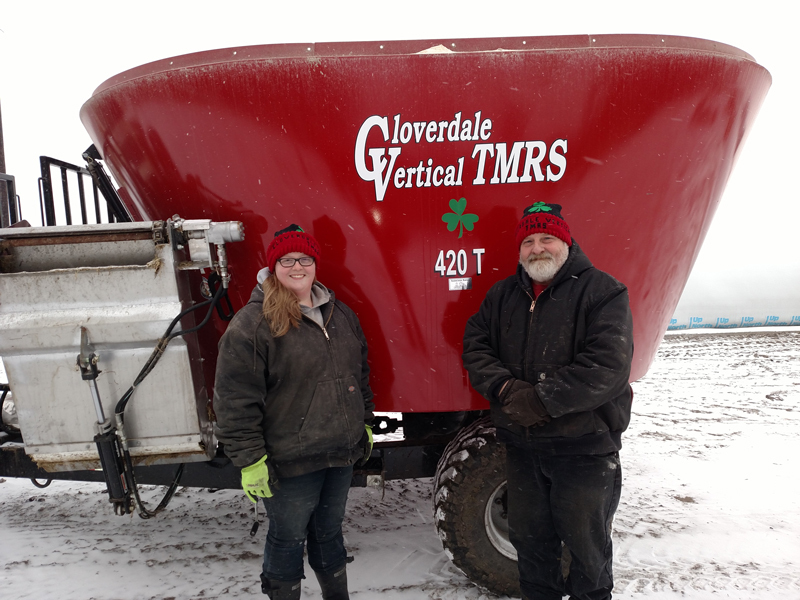 We couldn't process hay with our reel mixer, so we switched to a Cloverdale. There is less sorting and our milk production and components improved. The mixer is well built. We love it. 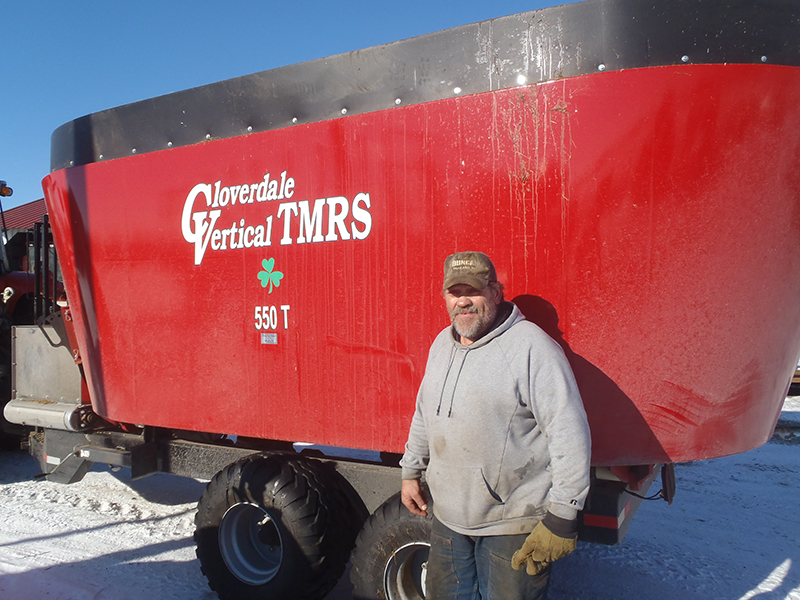 We switched from a feed wagon to our Cloverdale and don't free choice hay any longer. There is a lot less waste, we feed faster and save labor. Our Cloverdale is a good wagon. 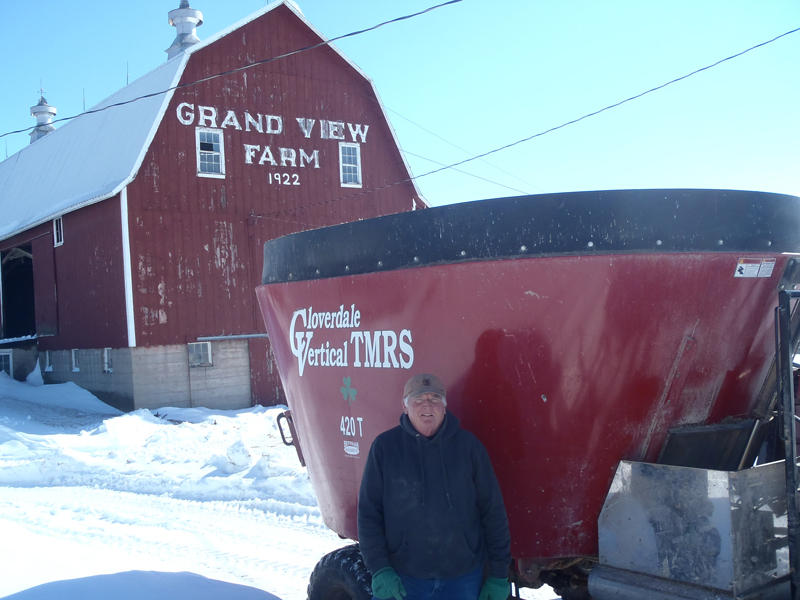 Grand View Farms is a century farm in N.E. Iowa. 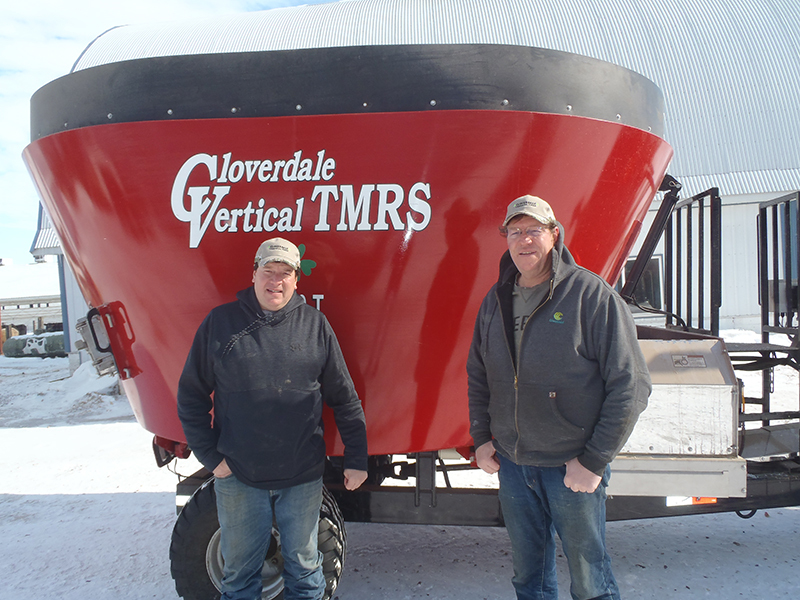 Our Cloverdale is our first mixer and have owned it for more than a year. We looked at other mixers and tried another brand but the Cloverdale mixed better. It does a good job and saves us a lot of feed. I bought our mixer from the local dealer, but I tried to call other manufacturers. John (Hoover) was the only one to call me back. He actually stopped by the farm and I was very impressed. 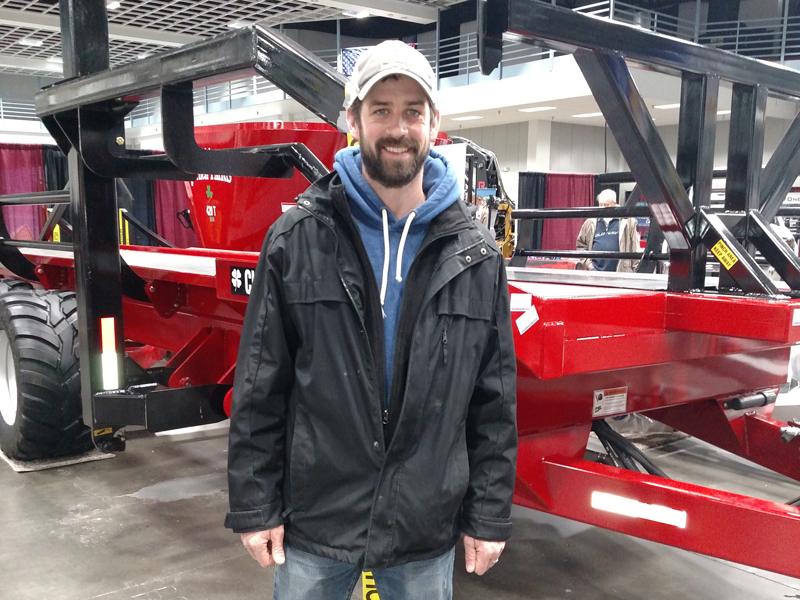 Jeff Rinde, Rinde Farms, Long Prairie, MN. 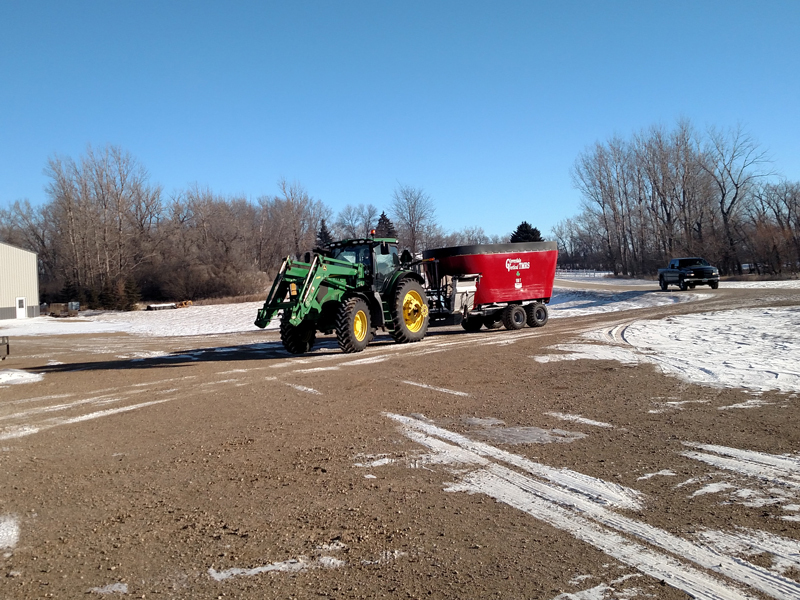 Our Bale Carrier is heavy duty and works well. We don't tear up our hay fields and only need one person to keep up with our baler. Bob Bryniarski, Rinde Farms, Long Prairie, MN. 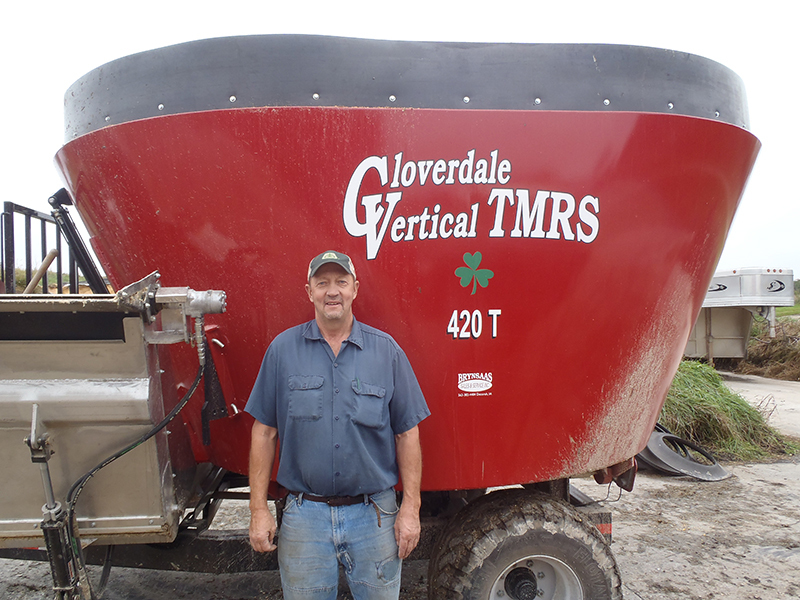 We switched vertical mixers and our Cloverdale did a better job mixing and unloads better. Jason and Tom Shea, Shea Dairy Inc, Utica, MM. We switched vertical mixers to a bigger Cloverdale and were able to cut back three batches and save one hour per day feeding. The stainless steel conveyor and hyro shift two speed are nice. 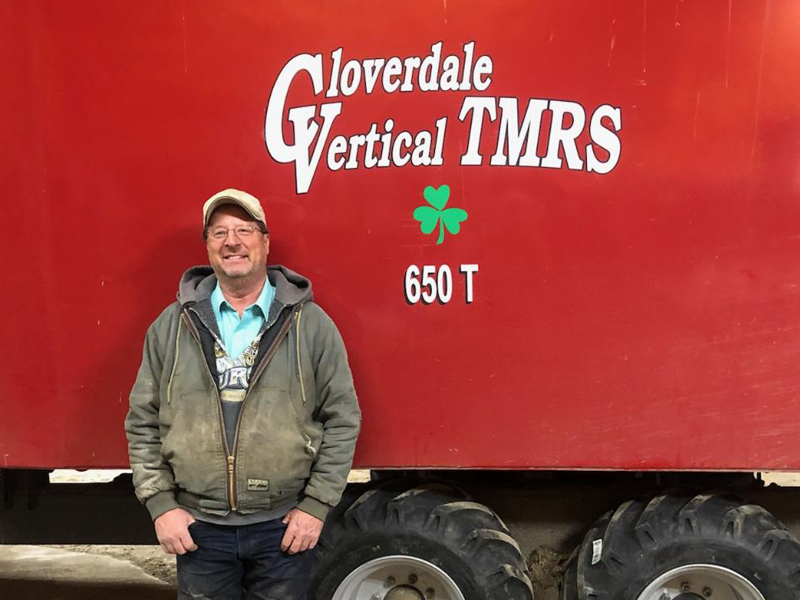 Kraig Jackson, Jackson Farms, Redfield, SD. We had a reel mixer but now we can feed long hay. 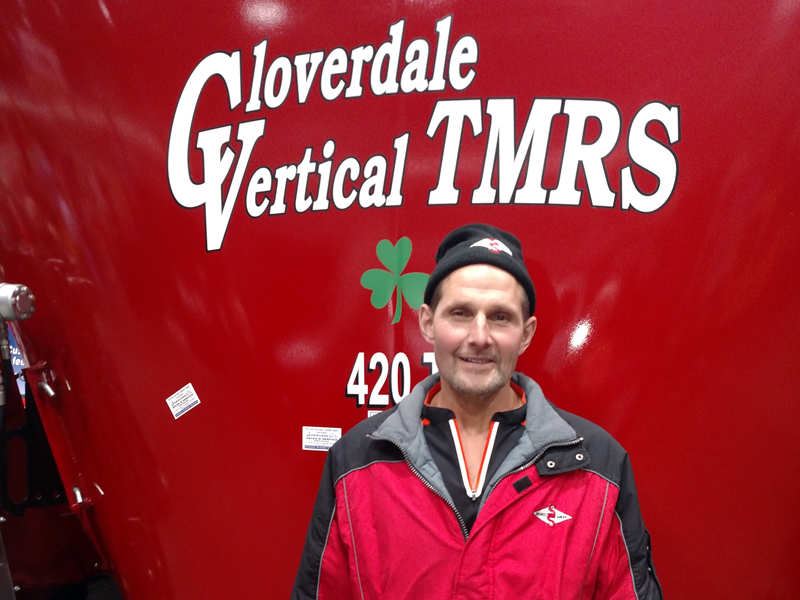 Our Cloverdale has the best walking tandem in the industry and we like that it's made in America.